SCR	There are 2 products. 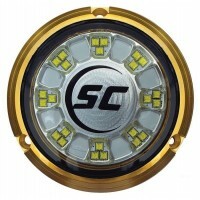 The newest underwater light from Shadow-Caster, the SCR-24 and SCR-16 is a 24 and 16 LED round light offered in single and multi-color versions. 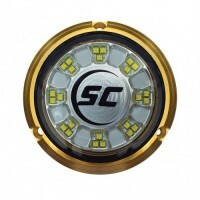 Presenting exceptional brightness in a flood pattern, the SCRis built into durable bronze housing, complete with a scratch-resistant glass lens. 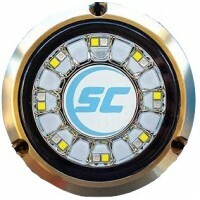 The Shadow-Caster SCR is a beautiful compliment to any vessel.